Topic: Commuting e-bike - suspension, panniers and proper mud guards?! Re: Commuting e-bike - suspension, panniers and proper mud guards?! I think if I was converting a Moulton i'd go for a crank drive set up. That way all the extra weight would be sprung. Ha - I wish! I'ts a lovely looking bike but its not mine. 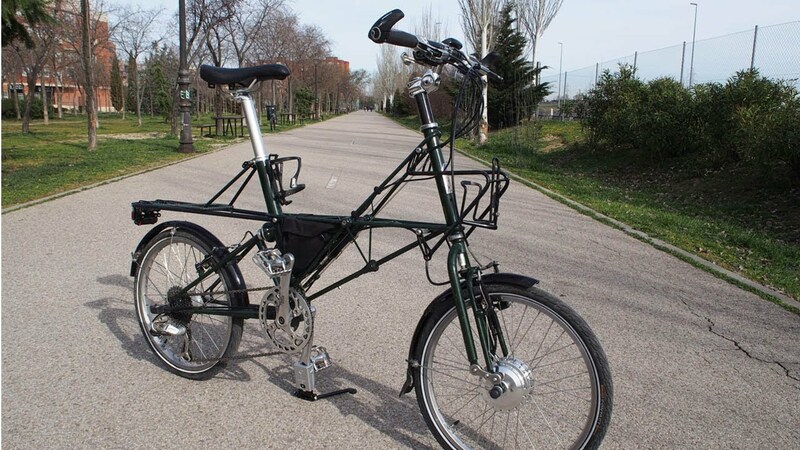 Maybe a Moulton TSR would fit the bill? Notice the Deutsche Post delivery bicycle at 3:30! Exactly. They can't be seen as the one restricting personal freedoms - such as the freedom to smoke out your neighbours - its only the EU which does such things right? Not just the Guardian, the Times was happy to report it as well. The conclusion is correct, there is no hope of decent urban air quality without specifically targeting diesels.